We review the best animations on YouTube of the #TwoSlit Experiment to solve the #WaveParticle Duality Problem. Let’s look first at the one-slit case. 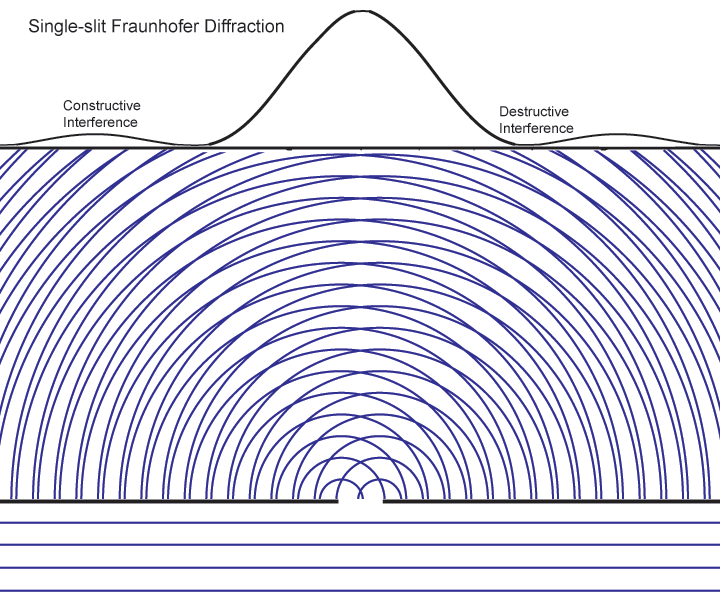 We prepare a slit that is about the same size as the wavelength of the light in order to see the Fraunhofer diffraction effect most clearly. Parallel waves from a distant source fall on the slit from below. The diagram shows that the wave from the left edge of the slit interferes with the one from the right edge. If the slit width is d and the photon wavelength is λ, at an angle α ≈ λ/2d there will be destructive interference. 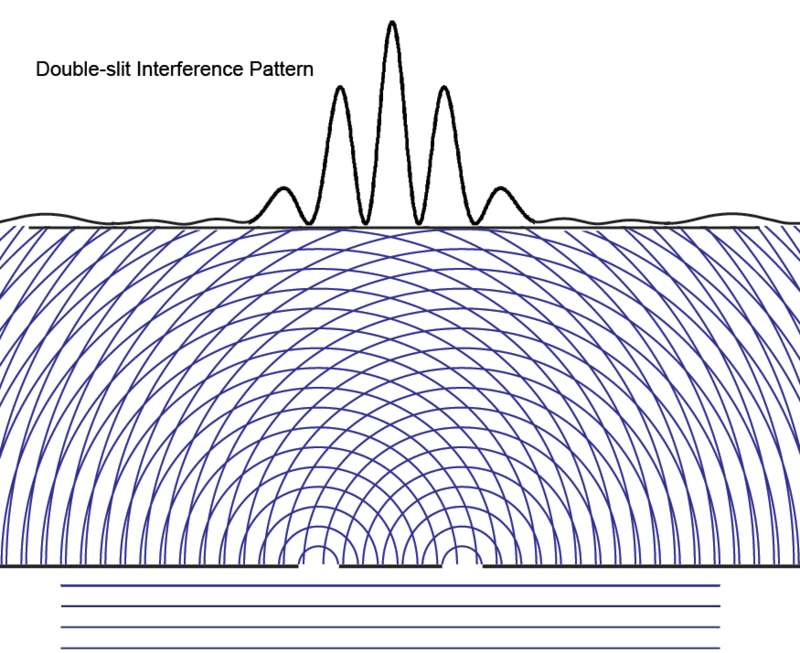 At an angle α ≈ λ/d, there is constructive interference (which shows up as the fan out of lightening patterns in the interfering waves in the illustration). When both slits are open, the maximum is now at the center between the two slits, there are more interference fringes, and these probabilities apply whichever slit the particle enters. The solution of the Schrödinger equation depends on the boundary conditions – different when two holes are open. The “one mystery” remains – how these “probabilities” can exercise causal control (statistically) over material particles.